It’s sounds like the plot to a ‘Bromance’ movie: two best friends leave behind their sleepy, humble, English market town for Thailand in a quest to fulfil their lifelong dream of learning Muay Thai. Stu Jotham, 27 and James Miles, 31, hail from Stroud, Gloucestershire. An English town known more for its textiles and rolling valleys than their Mixed Martial Art dojos. 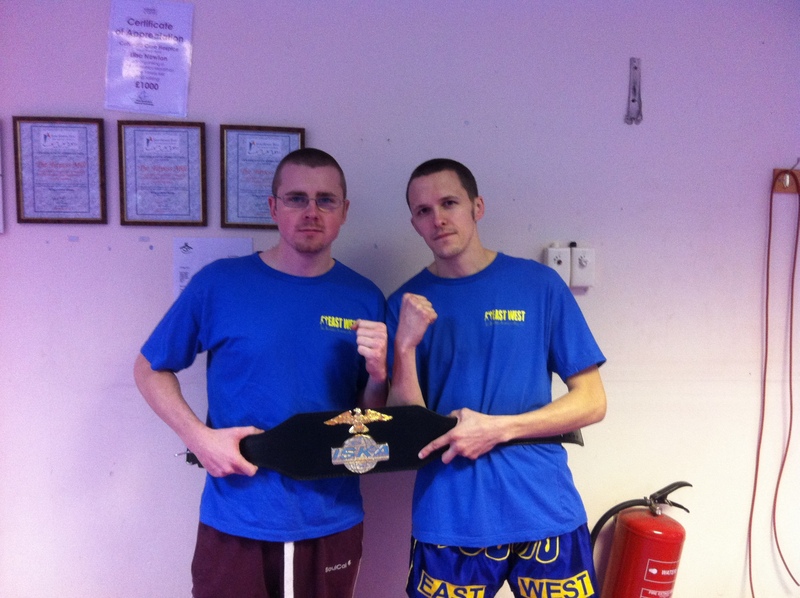 Friends for over eight years, James and Stu bonded over a mutual passion of fighting. Having both trained in MMA and Kickboxing, it was the zeal to become scholars of Muay Thai that lead both men to ‘up-sticks’ from their humble origins and fly to Tiger Muay Thai & MMA in Phuket, Thailand for a three month voyage of self-discovery and training. This was a trip that would change their lives forever and lead both men into fighting two very different battles inside and outside of the ring. To them, making the pilgrimage to Tiger Muay Thai was more than just a typical lad’s holiday in South East Asia. In May, 2010 Stu and James arrived at Tiger’s facility in Thailand and from day one they knew they were in for a testing three months of training. Over the next few months, they would continue to do battle with wits, bruises, bug bites and blisters. However, despite the arduous toll on their bodies and minds, both Stu and Matt were firmly aware of their improving skill sets. Not content with putting their bodies through two daily training sessions, six days per week, the boys soon found themselves making their in-ring Muay Thai debuts. James competing at Tiger’s notorious in-camp BBQ Beatdown and Stu at the world renowned Bangla Stadium in Phuket. Their months of dedication and hard work paid off as both fighters emphatically fought to pick up their first Muay Thai wins. It was the perfect end to the perfect holiday – three months of worth of world class training culminating into their first big Muay Thai win together with countless unforgettable memories and new friendships. With all that, now behind them the pair headed back to their native England to plan their assault on the British Muay Thai scene. Upon returning home, Stu and James continued their training the EastWest Muay Thai Gym in Gloucestershire where James also acts as Assistant Coach. “Tiger gave me all the basics of Muay Thai to carry on when I got home and really take my training to the next level.” said James. With their sights set on conquering the U.K scene, the boys balanced their training and coaching with full-time jobs to help bring them closer to their dream of Muay Thai gold. But for one of the boys that dream would soon come a tragic end and quickly become a nightmare that neither one of them could have seen coming. In April 2011, tragedy struck. Whilst riding his motorbike, Stu suffered a freak accident when a former police officer’s car crashed into him at speed. As Stu fell to the ground, the car collided with his right leg, crushing it on impact. Despite the severity of the incident, he is still able to recall the incident in explicit detail. Stu credits his years of training for how he was able to handle the trauma of the accident. Stu was rushed into hospital where doctors assessed the severity of the injury and quickly made the decision to relocate him to a trauma unit for immediate surgery. After initial surgery, Stu awoke to the distressing news that there was a 95% chance he would have his leg amputated that night. Ever the fighter, he was still able hold up his guard against his new unlikely opponents – the doctors. Three painstaking operations later, doctors were able to save Stu’s leg from amputation. Using groundbreaking techniques, they removed Stu’s entire latissimus dorsi together with rib muscles from the right side his body. The rib muscles were then attached down into his leg along with tissue from his back with skin grafts from his unaffected left leg to hold everything together. The operation was a success that came at a high price. As a result of losing a third of his knee, half his fibula and part of his femur, Stu was told he would be unable to walk without assistance for at least 18 months. However, despite the doctor’s initial analysis, an iron-willed Stu triumphed against adversity and with a lot courage and a little bit of stubbornness, he was able to walk on his own two feet – a mere four months after the brutal accident that cost him his freedom. And only three months later, a resilient Stu had a brace fitted to his leg which allowed him to return to his passion of training. While aiding his best friend, James continued to train back at the gym for his next fight and who better to hold up the pads than the ultimate fighter himself, Stu. With Stu in his corner, James triumphed in April of 2012 by winning the Southern Area Muay Thai Title in Bedford, England. A win that James has dedicated to his inspirational best friend and training partner, Stu Jotham. With the Southern strap around his waist, James now has his sights set on global martial arts promotion K-1. For for him, there is not greater motivation than representing his local club. As James continues to climb his way up through the fight world, Stu continues to fight his way to a brighter future. Stu currently awaits a donor leg that will then pave the way for a potential bone and ligament transfer. A rare procedure that sees him one of the first in Britain to receive. Despite missing out on the fight career he dreamed of for so long, Stu is relishing in his new coaching role. Now armed with a wealth of experience in both kickboxing and Muay Thai, he now knows his mind is his deadliest weapon – for now. Stu Jothan and James Miller began their journey into Muay Thai together and despite facing two very different individual battles, they emerged triumphant – together.